Since its inception, RBE has developed a notable reputation for presenting both classical and contemporary choreography with equal virtuosity. 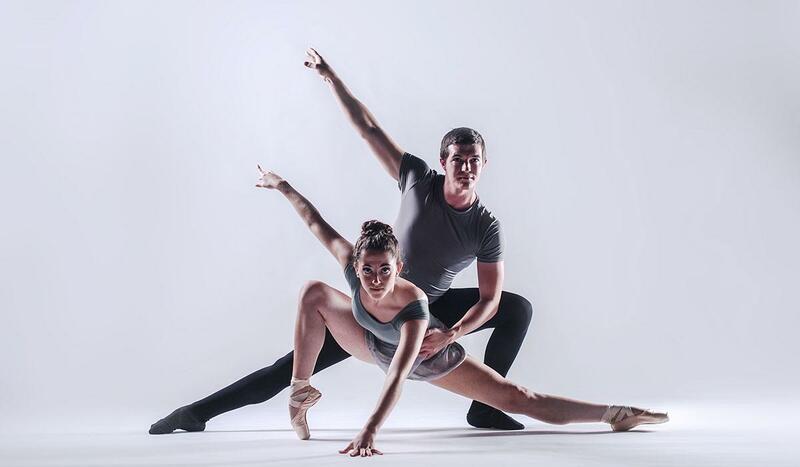 This achievement is reflective of the cross-disciplinary approach to the curriculum offered at UVU, where beyond their study of classical ballet technique, pointe, pas de deux, and men's class, students study modern dance forms, dance history, choreography, and more. Current members of RBE are pursuing a Bachelor of Fine Arts in Dance with a Ballet Emphasis. Past company dancers are now dancing professionally, attending graduate programs, and are teaching in both private and academic settings. The mission of the School of the Arts at Utah Valley University is to produce artists of the highest caliber who understand the opportunity their talents provide for making positive and productive change in the world. Repertory Ballet Ensemble is proud to support this mission, and does so by promoting access and appreciation for ballet in the Intermountain Region through its training, performances, and educational initiatives.